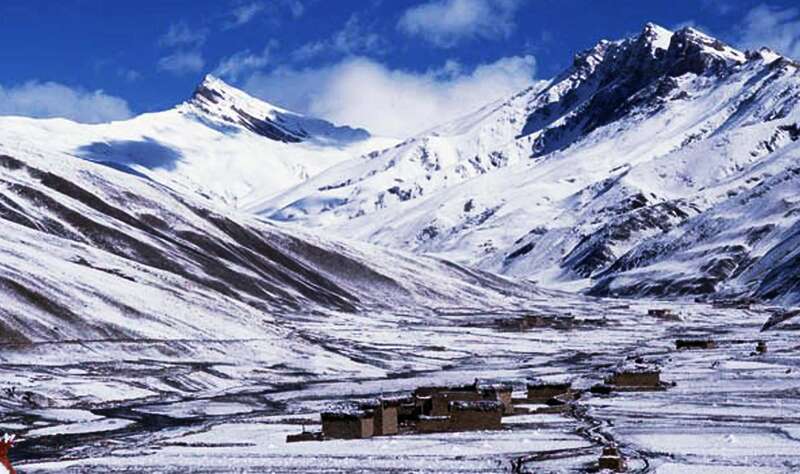 The Dolpo region is familiar with the Tibetan Plateau, but it is yet unexplored. It has maintained its natural beauties although the territory is less frequent by the waves of modernization. 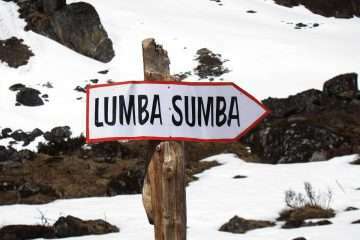 But, making you an essential destination for trekkers who admire the value of serenity. Upper Dolpo trek is a restricted region only opened for tourism since 1989. It belongs to the national park with an area of 3500 square kilometers. 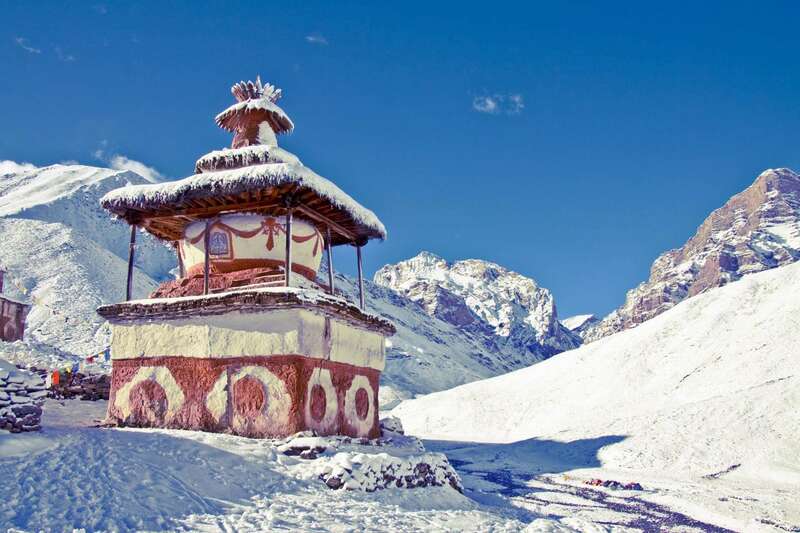 The Upper Dolpo trek route usually has above 4000 meters and this hidden land influences with the Tibetan culture. So, Upper Dolpo trekking makes you a one in a million experience. The trail goes on the way to leaving a small airstrip at Juphal. It passes through the settlements together with the views of high snow-capped mountains. 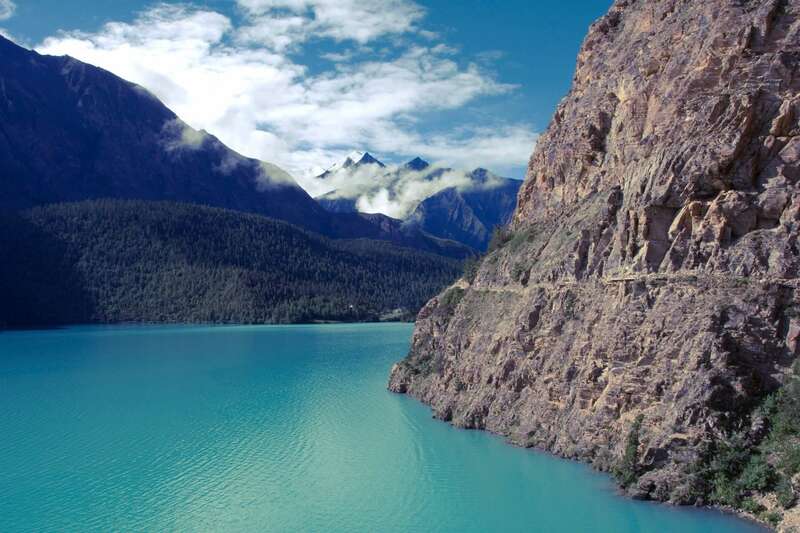 Then reach Shey Phoksundo Lake and explore the famous Phoksundo Lake. The Upper Dolpo trek joint with a visit to the Shey Gompa. Thus, the trail leads you Shey Gompa via the Kang-La pass. Shey Gompa and the crystal mountain provides a retreat and personal charm with the serenity since it possesses. Despite the natural beauties and impressive scenery, the trail brings you the hidden Saldang and Yangtse Gompa which about the secret of Upper Dolpo no one is talking. Hence, the journey makes you a beautiful retreat of the Upper Dolpo region. Upper Dolpo trek route goes through various passes, rivers, and monasteries. 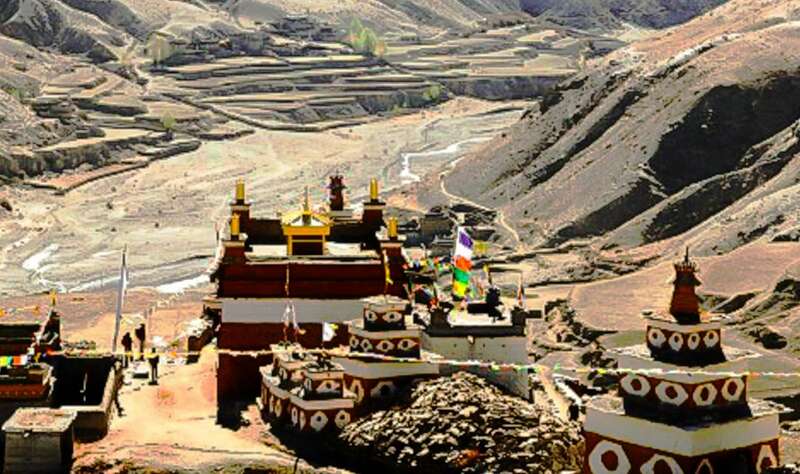 The prayer flags, stupa, the Tsyorten, and Mani stones are visible during the journey. Moreover, the views of mountains are visible during the trip. The people of the Dolpo region is familiar with Tibetan. The Upper Dolpo trek runs still on a camping basis and makes sense you a wilderness experience. The Dolpo region and its daring itineraries combine both upper and Lower Dolpo trekking route. Although it recommends for those trekkers, who could both essential and religious influence. Kathmandu – Nepalgunj – Juphal – Dunai – Phoksundo Lake – Forest Camp – Base Camp – Kang-La Pass – Shey Gompa – Namgung – Saldang – Sibu – Jeng-La Base Camp – Jeng-La Pass – Dho-Tarap – Serkam – Shahar Tara – Dunai – Juphal – Kathmandu. As per the flight schedule; about an hour superb airstrip to Nepalgunj from Kathmandu. It is crossing a whole range of the western part of the Himalayas like Langtang, Manaslu, Annapurna, and Dhaulagiri. Comparatively, it is warmer than Kathmandu. Nepalgunj lies near the Indian border. Day 4: Flight to Juphal – 2475m and trek to Dunai. Day 5: Dunai – Chhepka (2630 m) 6h00 walk. The first day of the adventure takes a bit more time to set up all the luggage. As we cross a bridge over the Bheri River takes left trail lead us to Shulighat, the entry point of Shey Phoksundo National Park. The trail goes along the Phoksundo Khola passing through the several small settlements to Chhepka. Day 6: Chhepka – Chunuwar (3170 m) 6h00 walk. The trail goes gradually climb up along the valley through the forest. The trail follows several small ups and downs path; need to be cross the river over small bridges that lead you Raichi for lunch. At one point between Raichi and Chunuwar, there is a dramatic point where two rivers of distinctly different colors merge to form a single Phoksundo River then continue to walk to Chunuwar. Day 7: Chunuwar – Phoksundo Lake (3620m) 4h00 walk. The trek goes steeply uphill for the first three hours. There is minimal vegetation, and hills are very dusty in the dry season. As we arrive at view tower, we can see the highest waterfall of Nepal with a height of 107 meters, mind-boggling sceneries surrounding hills and 10 minutes uphill from the view tower, we can get the first glimpse of Phoksundo Lake. Then, the trail goes gradually descending through the pine forest to the small village of Ringmo. Day 8: Acclimatization and exploration day!!! Today, we will admire the beauty of Phoksundo Lake and possible to hike a small village of Ringo and its Tibetan monasteries. The people of this area are following the Bon Buddhist known as pre-Buddhist too. Ringo village is the boundary between Lower and Upper Dolpo. We will enter a restricted area of upper Dolpo and follow the trail Oscar-nominated movie HIMALAYA, directed by Eric Valli. The trail is a salt trade route between people of Dolpo and Tibetan. The zigzag trail is more adventures along the lake. 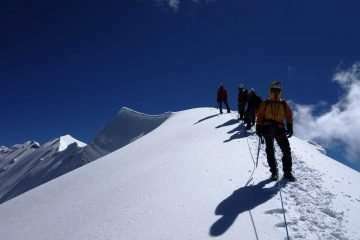 As we reach a height of 4085 meters; after which is gradually descends through the dense forest and climbs up towards open valley with a spectaculars view of Kanjirowa Himal with an elevation of 6612 meters. Then; we reach a beautiful camping place. Day 10: Salla Ghari – Base Camp (4120m) 6h00 walk. The Trekking trail is unique. We enter through high rock wall on both sides and crossing a couple of streams without bridges. The river flows inside the gorge; the walk is uphill but not steep. There is wide open space on the river shore, with stony ground and thorny juniper bushes. Day 11: Base Camp – Kang-La Pass – Shey Gompa (4320m) 7h00 walk. The trail goes inclined steeply for first 2 and half hours over Sandy Mountain to Kang-La with an elevation of 5350 meters. The feet slid at every step, and altitude sickness may take hold at this point. After walking down the hill from the pass for about 4 hours, we get to Shey Gompa. Day 12: Rest Day – Shey Gompa the crystal monastery. You can explore around Tsakang Gompa. It is not a monastery but a retreat. Tsakang had been a meditation center of many famous lamas from Tibet. Shey Gompa belongs to the Chaiba community, followers of the Padmasambhava and Kagyu sects. It was the first Kagyupa monastery, and its founder was the lama Ten-szin-Ra-Pa. The monastery was built during the 11th century. Shey is famous for its ancient Buddhist culture. In Dolpo, the ancient Tibetan way of life combines animism with the teachings of Buddha. Drutup Yeshe introduced Buddhism in the Dolpo valley. Many years ago he came to Dolpo and came across a wild people whose supreme God was a ‘fierce mountain spirit.’ Crystal Mountain is to the west of Shey monastery. It is an extraordinary mountain indeed. It’s contorted cliffs are laced with quartz and embedded with a rich variety of marine fossils. Shey Gompa stands above the confluence of Kwangju Nala and Yeju Nala. Near the confluence, there is a group of prayer mills turned by water wheels. Day 13: Shey Gompa – Namgung (4430m) 6h00 walk. 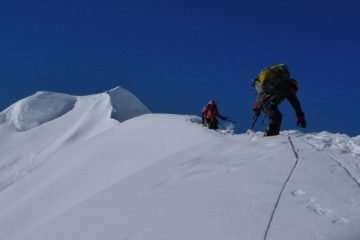 We have to cross a pass with a height of 5,000 meters named Shey-La. Then the path begins to zigzag over bare rocks and coarse eroded soil. The trail subsequent descends to the pastures. It means our approach to Namgung. Day 14: Namgung – Saldang (4046m) 4h00 walk. The trek leads us steeply climb up, feeling very hard to walk as we arrive at 4700 meters pass before the walk down steep slopes to the picturesque village; Saldang, one of the largest villages of this region strategic location of the trade route to Tibet. Day 15: Saldang – Sibu (4000m) 6h00 walk. The trek goes to pass through the terraced fields, stupas, chhortens, mani wall, monasteries, and several villages. We walk along gorge where the bottom is populated with the green field of local barley. As we arrive at the campsite, need to cross a knee-deep river twice. A beautiful open ground, thorny juniper bushes are only the vegetation. Day 16: Sibu – Jeng-La Base Camp (4480 m) 5h00 walk. This is the last pass of the journey, mentality requires preparing. We walk up mild horizontal along a river site. We cross the river twice at some point of the trail for a long stretch. But towards ends become steeper. As we left valleys and villages enter to the barren hill, an almost highest camp of the journey. Today, we cross the last pass of the journey that walks up steeply uphill to the pass. We can see the beautiful sceneries of the Himalayas including Dhaulagiri and barren lands of Inner Dolpo. The trail goes down from the pass gradually descending at first then steep down towards Tarap Valley. Further 2 hours walk from Tokyo Goan, we get to Dho- Tarap (the highest village of the Dolpo.) and a junction from where the route diverges to Jomsom, Mustang, and Tibet. Day 18: Dho- Tarap – Serkam (3630m) 7h00 walk. The trail leads you downhill in a windy gorge along the Tarap River. There are hanging ridges on both sides; sometimes it even disappears between and under the hills. The trail goes through the narrow gorges with the rushing river. Many mules, horses, and Yak will encounter along the trail to transporting the goods. In the afternoon, the trail seems some improvement of construction and sees a modern steel bridge to facilitate the movement of peoples and animals. The same course, walk along the river to the narrow gorge a gentle incline through the dense forest. Sometimes, several ups and downs appear along the trail due to the huge rocky stones that represent the quality of trail and take attention while on trek possibility of slippery. The trail is easy to walk gradually inclined along the shore of the River. The trail sometimes climbs to the top of the hill and sometimes deep to the level of the River open space trail that leads us to Dunai. Early morning, we take a flight to Nepalgunj. It is a wonderful 35- minute flight over the Himalayan foothills, with fine views of the main peaks including Annapurna and Dhaulagiri to the north. You then catch up the connection flight back to Kathmandu. The day can occupy as security day in case of flight interruption. Alternatively, you have a chance to explore the Heritage site of Kathmandu if arrived in schedule itinerary. DEPARTURE TIME Please, arrive at least 3 hours before the flight. Prices are quoted in US$ dollars and payable in convertible currencies. All prices published on our website are set as low as possible. The Prices may vary at any time due to currency fluctuation, fuel prices, and unforeseen economic circumstances. However, we guarantee our prices which already signed up for your tour. Please consult us for a custom quote.